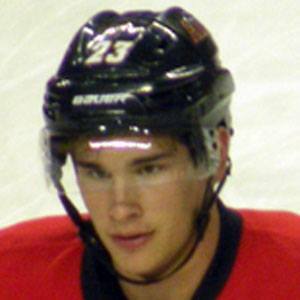 Left-shooting center who debuted in 2010 for the Ottawa 67's and was drafted sixth overall by the Calgary Flames in 2013. In 2017, he became the youngest Calgary Flame to reach the 100 goal milestone. He attended St. Thomas Aquinas Secondary School. He is praised for his skating and stickhandling abilities. He was born in Brampton, Ontario, Canada, to Cathy and John Monahan. He was part of the same 2013 NHL entry draft that produced center Nathan MacKinnon.